Construction is nearly complete on the new State Route 520 Floating Bridge spanning Lake Washington, connecting Seattle on the western side of the lake to Medina on the eastern side. 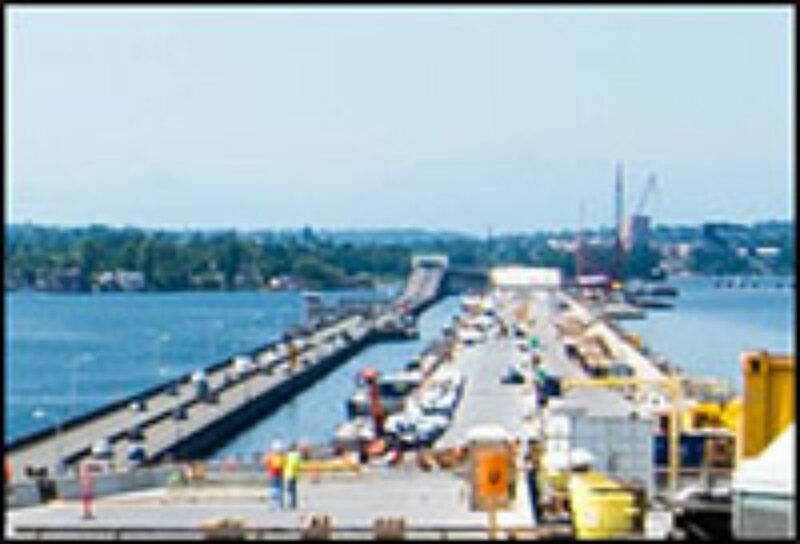 The new 7,710 ft. long bridge will be the longest floating bridge in the world, and is replacing the existing 7,578 ft. bridge, which was the longest floating bridge in the world. The new bridge is designed to reduce traffic congestion and improve safety compared to the former State Route 520 Bridge. Two important components of the construction of the bridge were the design and construction of the dry standpipe fire systems and of the mechanical wastewater removal system, to remove rainwater from the road surface and filter it before returning it to the lake. 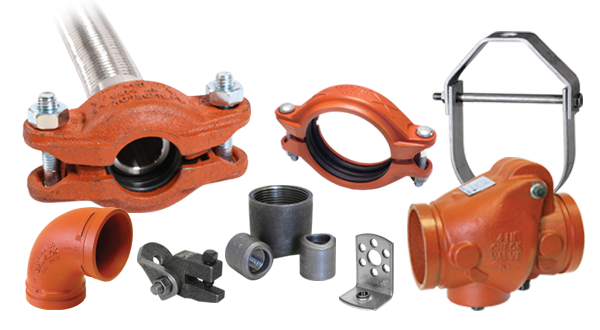 Contractors for these systems needed grooved pipe couplings, hangers, and other piping products that would meet or exceed the needs of this unique bridge style, and reached out to Anvil International to supply the products. The project is scheduled to open to traffic on April 11, 2016. The State of Washington Department of Transportation determined that it was necessary to update the State Route 520 Bridge over Lake Washington, replacing the existing bridge with a wider span that would reduce traffic congestion and improve safety. The previous Route 520 Bridge had two standard travel lanes and no High Occupancy Vehicle (HOV) or bike/pedestrian access lanes. The bridge also had just a 1ft. shoulder at the inside and a 2ft shoulder on the outside. The former Route 520 Bridge, left, completed in 1963, was not adequately equipped to handle current traffic volume. The new bridge, right, features two additional vehicle travel lanes, as well as a lane for pedestrians and cyclists. The new bridge also has two standard travel lanes, as well as an HOV lane, a shared 14-foot-wide bike/pedestrian access path, and shoulders of 4 ft. to the inside and 10 ft. on the outside. As a result, the new bridge is able to handle greater traffic volumes and improves overall safety for cars, cyclists, and pedestrians. It is also designed to be better resistant to severe storms and earthquakes than the previous one. It was designed to be able to withstand sustained 89 MPH winds, compared to the 77 MPH (retrofitted from the original 57 MPH) sustained wind rating of the previous bridge. 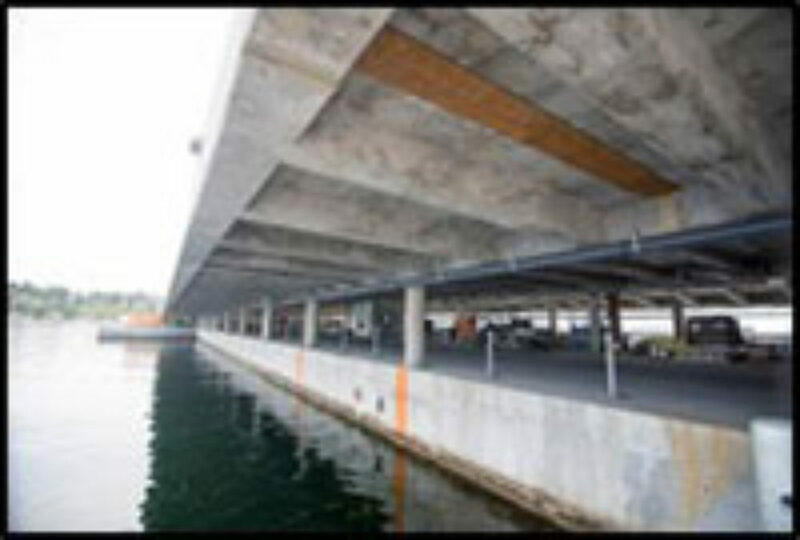 A floating bridge design was selected due to the depth of Lake Washington (over 200 ft. at its deepest point) and the soft condition of its lakebed. Traditional bridge support towers would have had to be cost-prohibitively tall in order to support the roadbed of a more conventionally designed bridge. Instead, the bridge’s roadbed, like that of its predecessor, is supported by a series of large, floating concrete pontoons. Because the bridge floats on the surface of Lake Washington, it must be design to expand, contract, and roll with the motion of the water, whether that motion comes from wind, storms, thermal changes, or other factors. The new bridge consists of two separate decks: an upper deck, as described above, for traffic, and a lower deck for maintenance and operations. 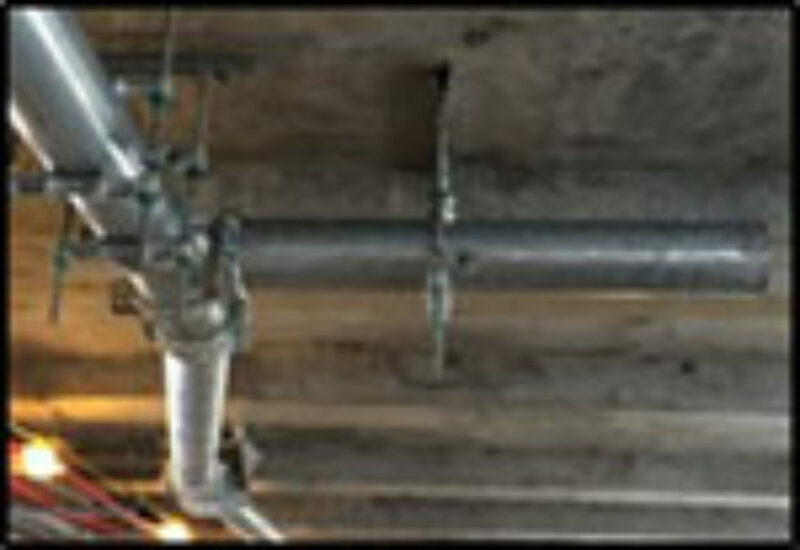 The bridge features remotely controlled fire protection dry standpipes systems. In addition, it features a mechanical wastewater removal system that handles the removal of rainwater from the roadway. Approximately 1.5 miles in length, the bridge is constructed much like a viaduct, with a superstructure that rests between 14 and 80 ft. above the 23 pontoons, the largest of which are 360 ft. in length. The design and construction of the bridge has taken approximately four years. 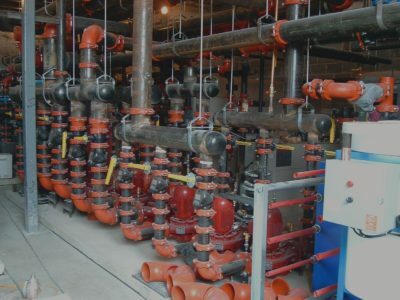 Because the bridge is too long to rely exclusively on fire trucks for fire suppression water supply, it requires dry standpipes along the length of the bridge in order for fire trucks to access water. Once they arrive, trucks can access one of the hose stations along the bridge, drawing up lake water for use in fighting fires. 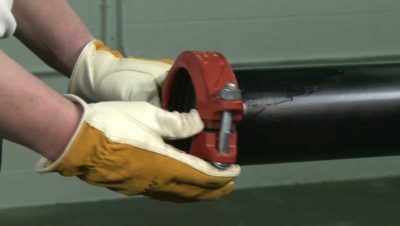 The fire suppression systems includes approximately 8,000 ft. of 8” Schedule 40 piping joined with flexible pipe couplings. Anvil’s 7000 Series couplings are flexible enough to handle the motion of the floating bridge. The fire standpipe is split into two separate systems. 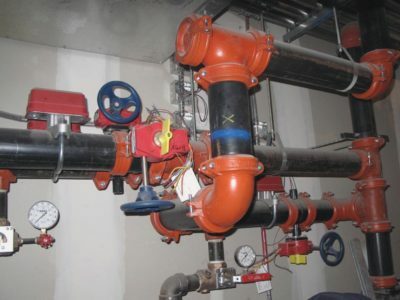 Each system has two 180PSI 1250 GPM vertical turbine fire pumps and motorized valves as primary and secondary sources of water, ensuring backup in the event of a pump failure. 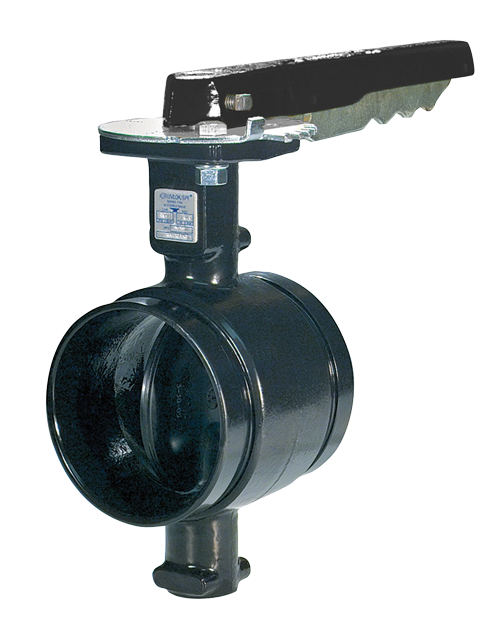 The systems are interconnected with a motorized valve, which is a third source of water in the extremely unlikely event that the first two sources should fail. All of these systems are remotely controlled from the WSDOT monitoring station in Shoreline, WA. 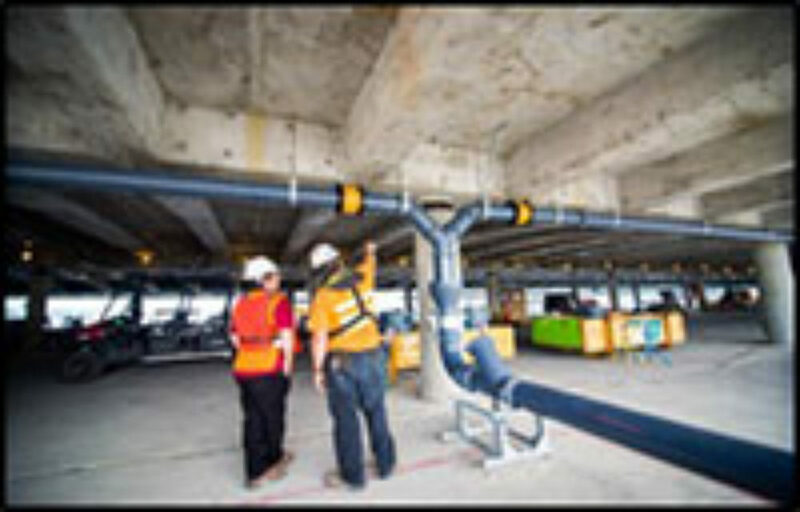 Bridge and fire authorities have several other options for activating the fire systems, which are also remotely operated from the local maintenance building or at the hose stations themselves. 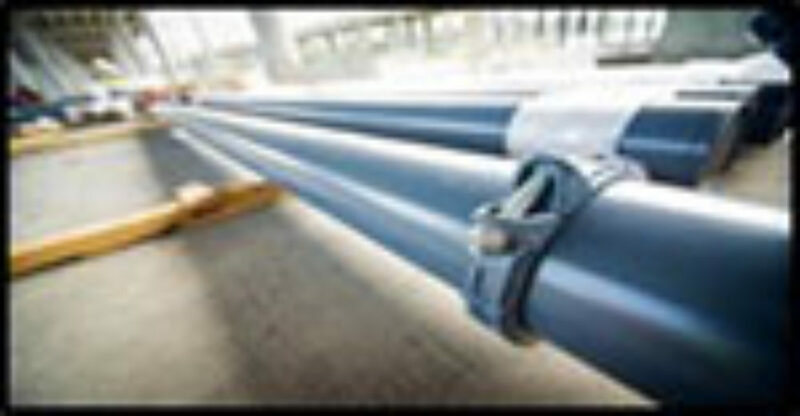 The fire suppression systems includes approximately 8,000 ft. of 8” Schedule 40 piping, all of which must be joined with appropriate pipe couplings that meet the specific needs of the floating bridge: that is, they need to be flexible so that they can withstand the bridge’s motion. 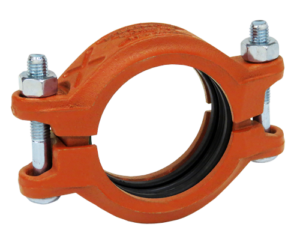 Anvil’s Gruvlok grooved couplings are ideal to meet the specific needs of the floating bridge projects. 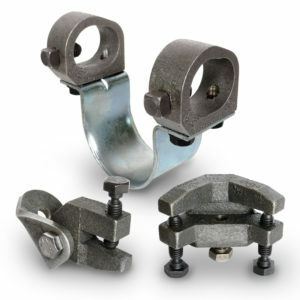 In addition to the couplings, Reliance purchased material for hanger assemblies from Anvil. 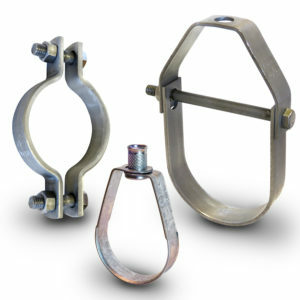 Most of the hanger assemblies consist of roller hangers attached to Anvil Strut/Channel, and serve to suspend the fire system’s dry standpipe from the underside of the bridge’s upper deck and give it the flexibility to move independently of the bridge, which is critical to the pipe’s ability to withstand the motion of the bridge from the water. Anvil provided rollers, nuts, bolts, clamps, rods and various channel materials for all of the hanger assemblies of various designs, and Reliance constructed and installed the appropriate hanger assemblies along the bridge. The couplings and components of the hanger assemblies were all hot-dipped zinc galvanized by Anvil, a critical project requirement. 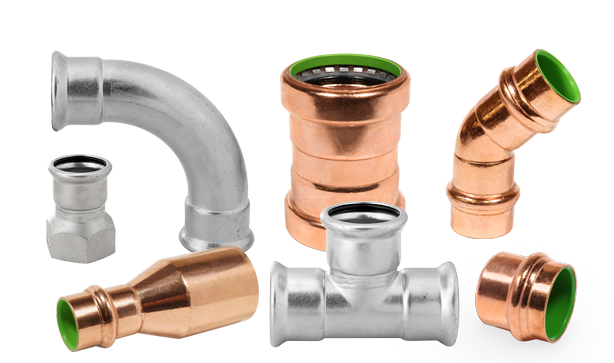 Anvil also ensured that even after galvanization, all of the fittings fit together properly, saving time during construction. 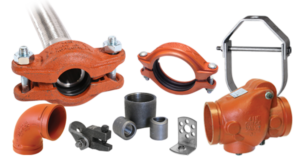 In addition to their previous experience with the Anvil team and major tunnel projects in the Seattle area, Reliance chose to work with Anvil because the company met the stringent product requirements necessary for the bridge project. Given that the bridge was funded in part by the Federal Highway Administration (FHWA), its construction was subject to the Buy America requirements. These provisions ensure that infrastructure projects using FHWA funds are built with American-made products. 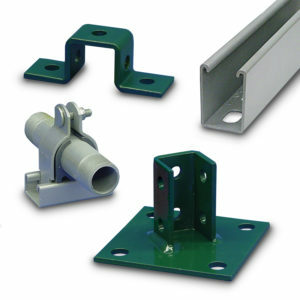 Unlike many of its competitors, Anvil’s products used on this project were manufactured in its plants located in the US. Anvil supplied components for the hangar assemblies that suspend the system’s piping from the bottom side of the bridge’s upper deck. 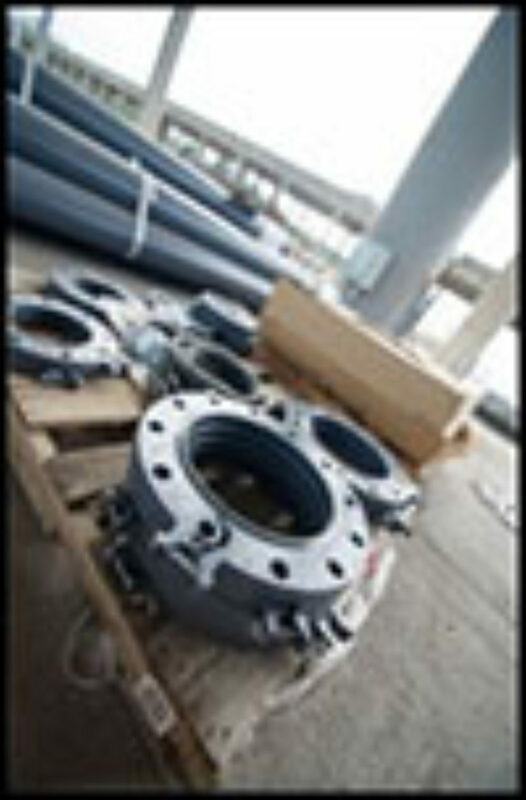 Anvil was also involved in the sourcing of products for the mechanical wastewater removal system for the Route 520 Bridge, which removes rainwater from the roadway. Rainwater flows off bridge deck into a series of 160 catch basins on the bridge, designed to trap sediment at the bottom. From there, it filters through Schedule 40 pipe ranging from 10” down to 6” and ends up in the 44 sump wells built into the bottom deck of the bridge. These sump wells are located in the middle of the pontoons, so that the rainwater flows back into the lake, but is separated from the rest of the lake water so that oil from the roadway doesn’t contaminate the water and can be cleared off of the surface of the isolated wells periodically. 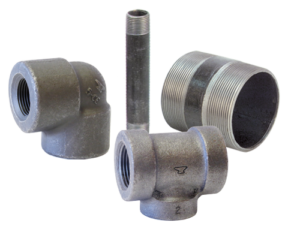 The contractor for the rainwater removal system, Diamond B Constructors, Inc., reached out for bids for flexible couplings and fittings for the Schedule 40 pipe. 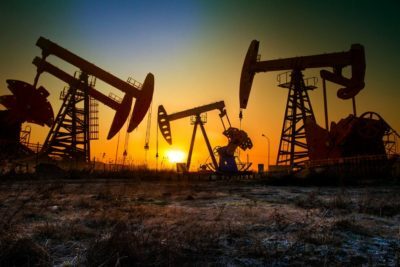 Anvil responded promptly and could fulfill project requirements, so they were awarded the contract. 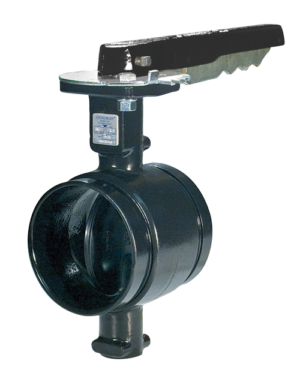 Just as with the fire suppression system, the wastewater removal system was subjected to the Buy America requirements making Anvil and its domestic manufacturing credentials ideal to supply the product for the project. In addition, the motion of the bridge from the water was also of concern with the wastewater pipes. 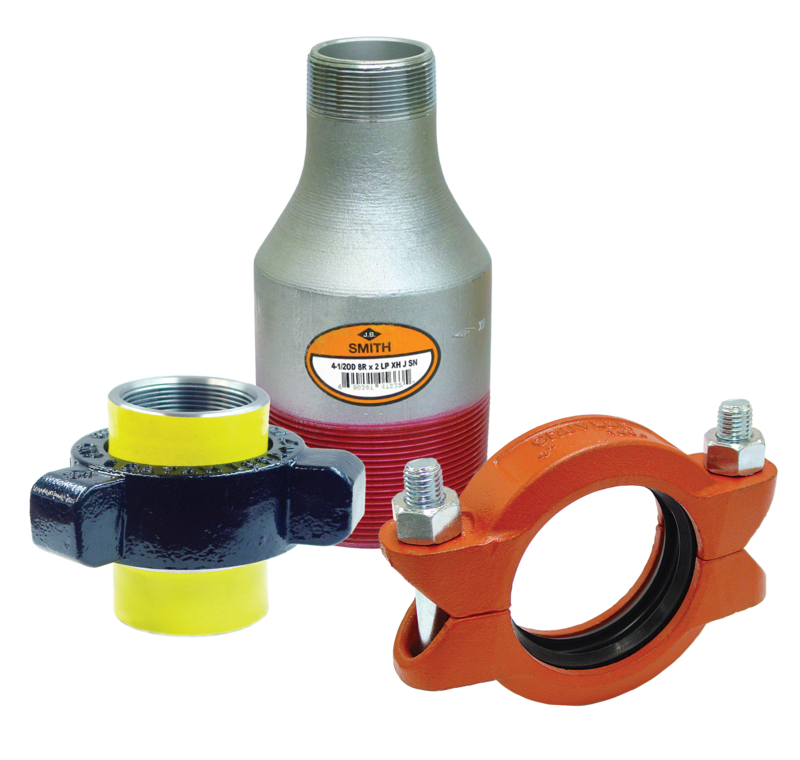 Just as with the fire suppression system, the Anvil Gruvlok® 7000 Series lightweight, flexible grooved couplings were selected for their ability to handle the pipes’ motion. 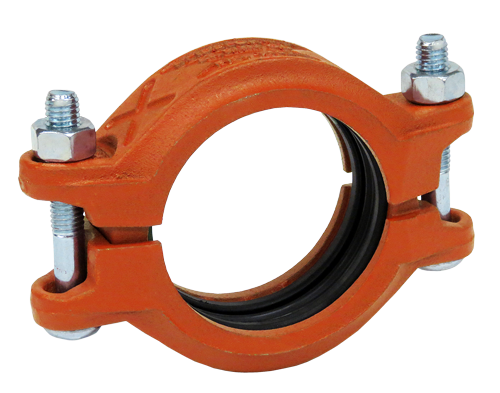 By hot-dip galvanizing and coating the couplings with epoxy, Anvil ensured that bridge design requirements are met and wildlife is protected. 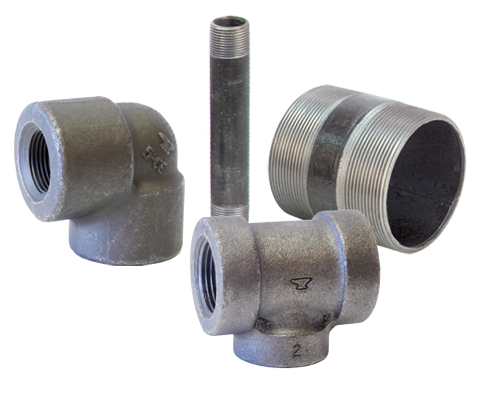 Anvil hot-dipped zinc galvanized the couplings and then sent them to a company in Portland, OR for an epoxy coating. This step was deemed to be necessary for ecological reasons by the bridge designers, who feared that the galvanization would flake off as a result of being in contact with water and negatively affect lake wildlife. 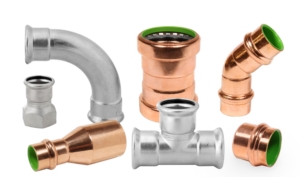 In total, the rainwater removal system contains approximately 15,000 ft. of pipe, 3,000 pipe couplings, and 1,500 pipe fittings. It is located under the bridge’s traffic deck on both sides, and spans the length of the bridge. It took approximately 14 months to install, and was completed in March 2016. 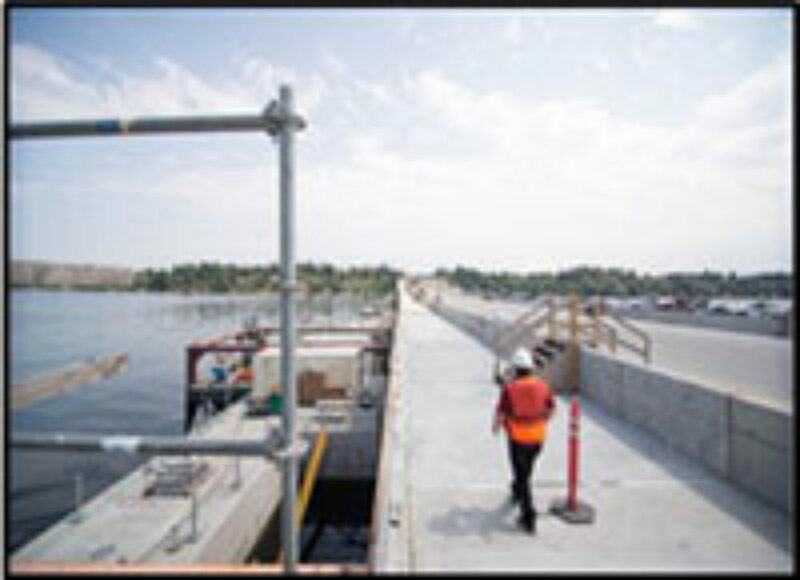 The new Route 520 Floating Bridge, featuring Anvil International products in critical roles in both the fire suppression dry standpipe and wastewater removal systems, will open on April 11th, 2016. Anvil has supplied the last of the products for both the fire suppression and wastewater management systems, and were present at the bridge’s Grand Opening on April 2nd, 2016. After the Grand Opening, the bridge will open to traffic on April 11th, and the bridge’s predecessor will be taken out of commission. Anvil International played a critical part in the construction of this new, safer bridge, meeting the needs of both the fire and wastewater system contractors for high-quality, high-value, and American-made products, designed to the exact specifications necessary for the project.